Palm Springs offers an incredible lifestyle for those fortunate enough to take advantage of it. The housing market in Palm Springs remains strong and there is always demand for newer, bigger, and better homes. 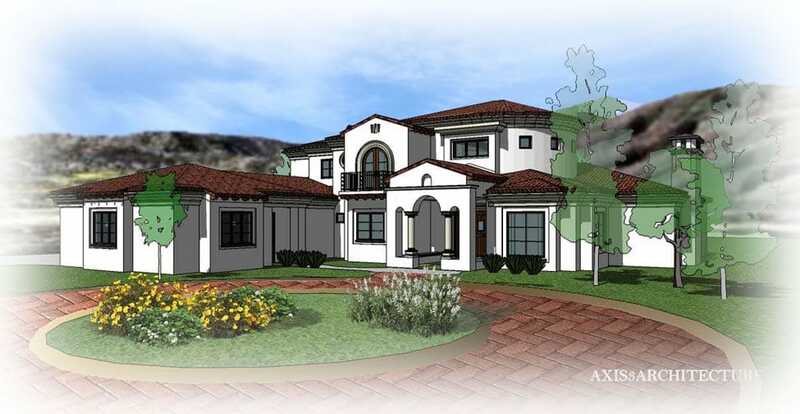 We provide custom home building, remodeling, and integrated design build services throughout Riverside County CA. For those of you who want to build or design your new home in Palm Springs, it is important that you know that there are numerous options available today. Basic or standard designs, it does not really matter, there are many developers in the area who have built various kinds of communities including track homes and subdivisions. So, in situations where you have not chosen a specific type of home, these options may also be great for you. Because of their overall design, these styes are relatively quick to complete and affordable for those who are operating within a budget. However, it is also important to note that there are many reputable home builders in this area who also specialize in custom built designs. RBC Construction caters to a wide diversity of audiences. So, we can offer a contemporary feel or a more traditional California Desert aesthetic, depending on the style and vision of our clients. To accommodate homeowners in Palm Springs, we are also well versed in keeping the up with the latest home technologies and environmentally friendly home design and construction options. Are You Looking for Luxury Home in Palm Springs? If you are looking for luxurious living without purchasing or building a huge home, the good news is that you have many options. 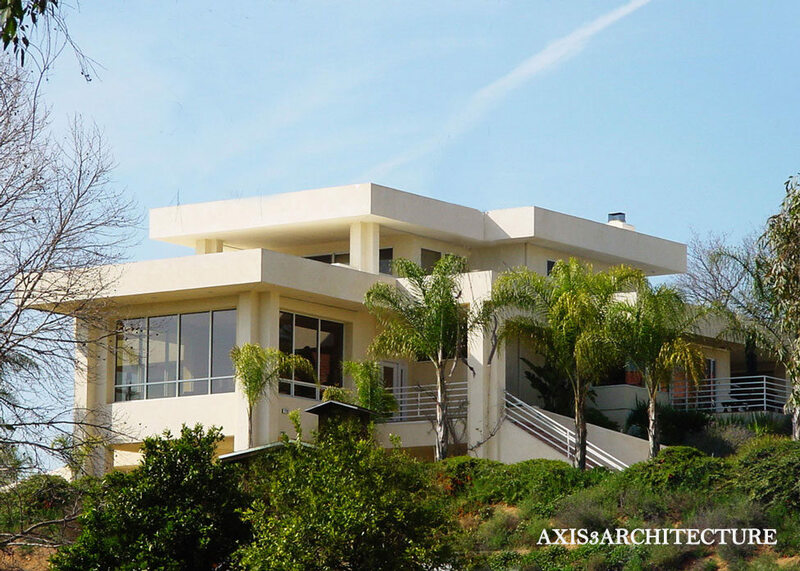 Because luxurious home living does not always equate to the largest square footage, we are positioned to offer the best in design for either smaller or larger homes in Riverside County. Even though the 1990s and 2000s have left most homeowners with the perception that bigger means luxury, today we are working on changing this mindset. With custom made homes that meet the needs of our clients, we are spending our time supplying luxury in different sizes. Which means, we are working with our clients to ensure that they do not go over their head in debt with a large home that they really cannot afford. Though there is a huge market for the larger custom homes in Palm Springs and its surrounding areas, we are not looking to cater only to this audience. Therefore, contrary to most traditional custom builder principles in this area, we are focusing on specializing in custom built homes with bespoke design for those who know what they really want. This means that, before our builders start any building project (new home or remodeling), we take time to do the research so homeowners will know all of their options in advance. By working with our homeowners closely in advance, we can deliver a design that fits their personality. As a leader in the area, RBC Construction works with our clients to provide a superior level of service. As one of our foundational principles, we work closely with our clients so that they will feel confident in making informed decisions. From choosing the ideal fixtures for their bedrooms to selecting the best layouts for the entire family, every stage of developing the new home is taken very seriously. Utilizing an integrated design build service, our clients are involved in an approach that significantly minimizes the need for back and forth revisions during the build process. Because the architect, home builder, and clients are at the table talking from day one, we can expedite the process of building the dream home that our clients envision. Also, by working with reputable architects in Palm Springs, we have a single source solution that helps with facilitating an affordable budget that our clients can easily work within today. Because of this method of designing and building new homes streamlines the process dramatically, our clients are pleased with the overall way the building process is handled, especially because our approach to building their home makes their lives much easier. Therefore, instead of spending extra time talking to architects and builders, they can go on with their lives and leave the rest up to everyone else in the design and build process to get the work done effectively and efficiently. Our clients are also pleased with the results once the home is completed because were are able to make sure the home is built on time, within their custom specifications, and within the budget allotted. So, for those who are interested in our services, you can contact RBC Construction today. We offer prospective clientele complementary consultation services to get you started, answer any questions, and arm you with the information you need to make smart decisions. Many home owners want a new home without the hassle of moving. That is why they seek to remodel their existing home instead of getting a new location. Home renovations are the easy way to change your environment. Transform your home today. RBC Construction are the experts in home remodeling in the Palm Springs, California area. We offer remodeling, renovations, additions and more. Our expert team offers a collaborative design build service that brings out the most of your home, while taking into account your needs and wishes. We use the existing plans for your home in our delicate and thorough remodeling process. Consider it a map that you have the power to modify. Our professional team is trained in architecture and selecting the best finishes, textures, and materials for every job. We offer the full-service home remodeling package for a low price. We get the job done fast, because we know you want to get back to living. 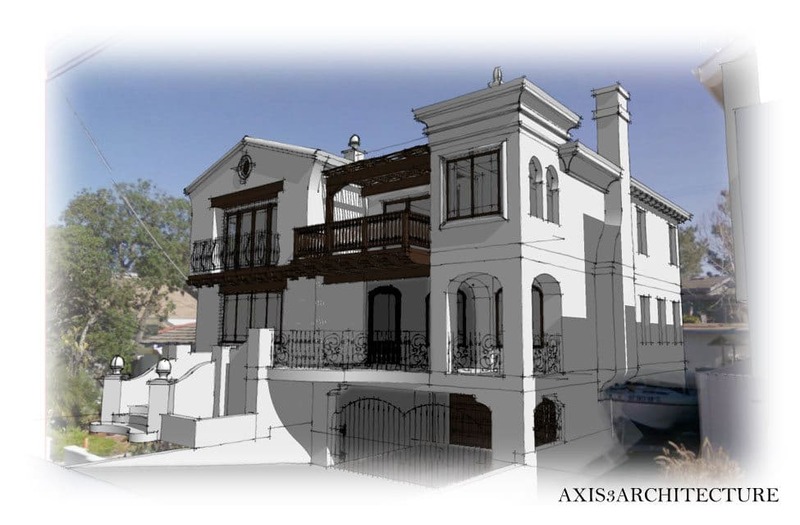 We get pleasure from designing and building custom homes and additions. That said, we take the customer’s preference into account. Our team works hand-in-hand with the homeowner, getting the best possible renovation and remodel possible. Some parts of California have wide-open space to build your dream home. Palm Springs is close to the desert, so there aren’t many open lots to build on. Prospective homeowners must settle for whatever options they find on the market. RBC Design can help you remodel the home before you move in. You bought an open canvas, let us help you make it a masterpiece. Even long-time residents of Palm Springs, CA can benefit from our services. It may be hard for them to move into another home, but they still want to change their living space. They can remodel and upgrade their home to have a fresh perspective and optimized potential. Imagine you’ve lived in the same home in Palm Springs over several decades. You’ve retired and saved money. It may be too late to move. You can invest your money into the home you’ve always lived in, and make the home you’ve always wanted. Some homeowners want to make additions to their existing homes. Whether it be for older relatives moving in or college students returning from school, you can use the extra space. Don’t limit yourself to what you have. Let us help you extend your home. No matter why you want to remodel, we’ve got you covered. Our services in Palm Springs, California aim to make the home remodeling process easy and rewarding. Kitchens are the location most sought after for remodeling in the Palm Springs CA area. The kitchen is where the family will spend most of their time and the first room guests will notice. It is said the kitchen is the heart of the home. It will define your home’s character and sets the tone for the entire home. Another reason people aim to remodel their kitchen is to get the optimal cooking experience. There are a plethora of cooking shows on TV these days. Not only do people get inspired to cook from these shows, they also want to improve their kitchen. This trend is noticed in the growth of kitchen utensils and home appliances. Many home remodeling workers simply destroy your old kitchen and start from scratch. This may be an option, but it’s not always the best one. We’ll look over your kitchen and determine what needs to be done. Sometimes we can move the pieces around. Sometimes we can build on top of them. And sometimes all a kitchen needs is a fresh cabinet installation. Our experts will save you time and money on your kitchen remodel. We can even extend the size of your kitchen. Some homes have extra space to spare, and then we can knock out the walls and move it over a few feet. If that’s not an option, some customers opt for an addition to the kitchen. All kitchen remodeling jobs depend upon your budget. The basic kitchen job can cost you around $50,000, but that’s only the start. High-end work can run up to $100,000 – $250,000. The factors at play here include your resources, your time frame, and the vision you have for your kitchen. Our team can make the most of your kitchen, regardless of the budget. RBC Construction can save costs where it matters, and bring out the most from your money. Contact us today for a price quote. After kitchens, bathrooms are the most popular room to remodel. Bathroom jobs remain important because it is one of the rooms where you’ll spend the most time in your home. Besides your obvious breaks to relieve yourself, you spend time in the bathroom preparing for work in the morning and cleaning up before bed. You want a bathroom that is relaxing, not one that cramps you. Secondary bathrooms, also known as powder rooms, are also a great choice for remodeling. Guests are almost guaranteed to use the bathroom during their visit, and this is the room they will notice. You want to give them the right impression of your home. Much like kitchen jobs, there is a wide range of prices available for bathroom remodeling. You can spend around $10,000 for a decent renovation to your powder room, and up to $100,000 for the full master bathroom. The price will vary depending on your needs, so be sure to consider the cost when crafting your perfect vision. It may surprise you to learn that you can completely change the face of your bathroom and spend little money doing so. Our experts will notice the small things that can be changed to effect the entire atmosphere of the room. Contact us today for more information regarding your home, kitchen, or bathroom renovations in the Palm Springs, California area. We look forward to improving your home. RBC Construction founder and President Ron Bierma is a third-generation Southern California home builder who enjoys working on unique projects with ambitious homeowners who demand the best. We work with residents throughout Riverside County, including Palm Springs, Palm Desert, La Quinta, Indio, Cathedral City, Rancho Mirage, and surrounding local towns.